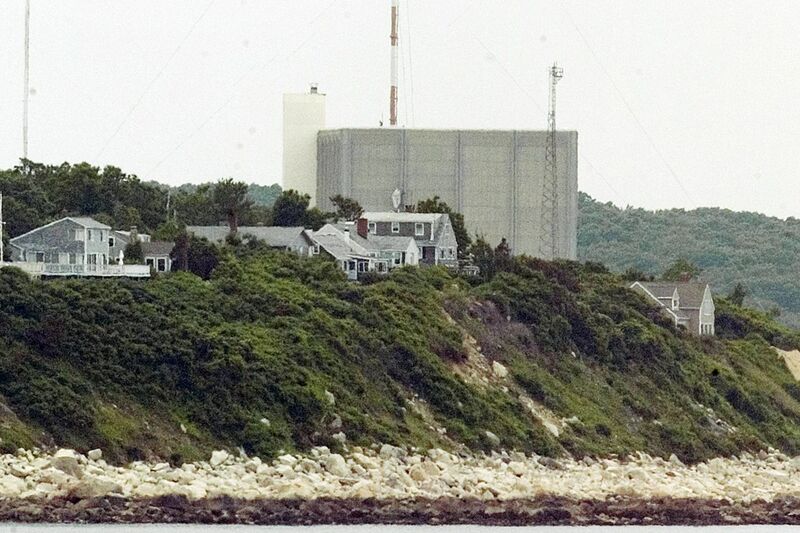 Pilgrim Nuclear Power Station is one of two that Holtec International has agreed to buy from Entergy Corp. to decommission after shutdown. Holtec International Inc., which has significant operations in Camden, said Wednesday that it had agreed to buy two nuclear power plants from Entergy Corp. after they are shut down in 2019 and 2022. These deals come a day after Holtec announced its deal to buy Oyster Creek nuclear power plant in Forked River, N.J., from Exelon Corp.
Holtec is part of a joint venture that says it can fully decommission a nuclear power plant in eight years, far shorter than the industry-standard 60-year time frame. Decommissioning involves the decontamination and dismantlement of the property, leaving behind spent nuclear fuel in storage devices that are Holtec's core business. In the case of Oyster Creek, a Holtec official said the company's long-term goal is to move the spent fuel to a facility it is trying to develop in New Mexican and redevelop the property. The two Entergy plants are Pilgrim Nuclear Power Station in Plymouth, Mass., and the Palisades Power Plant in Covert, Mich. The prices were not disclosed. The sales are subject to regulatory approvals.